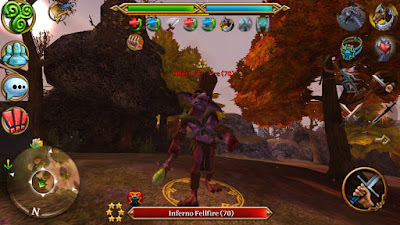 Inferno Fellfire and Inferno Charfire are two bosses in the Warden Armour quest line in Stonevale. This guide will give you all the info on this boss. 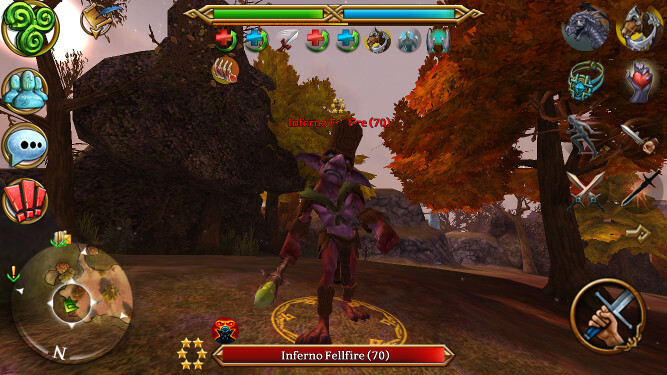 Fellfire is the first boss in the Evil in Stonevale quest chain. Fellfire is the first boss in the Warden Armour Quest line. 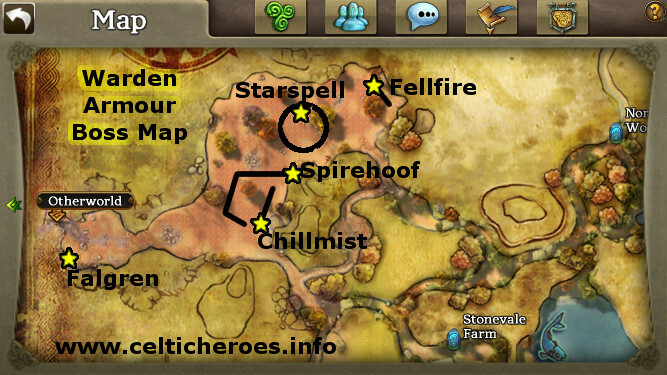 Location: East end of the Bloodgrove in Stonevale. Flame cloak - Fire damage cloak. You take damage every time you hit him with a melee attack. Primarily use skills on this boss while he has his Flame Cloak active. If you use Melee attacks, you will take damage. Use a tank to hold aggro, and nuke him down.